Bertrand Tavernier might be the best director in the world at taking audience Q&A. Based on his good humored appearance for Princess of Montpensier during the 2011 French Rendezvous, he displayed a genuine knack for extracting a salient point from even the most rambling, off-topic questions. While this talent for inspired free association comes across as keenly focused during a Q&A session, it might strike some viewers as eccentrically eclectic when applied to a three-hour-plus documentary. 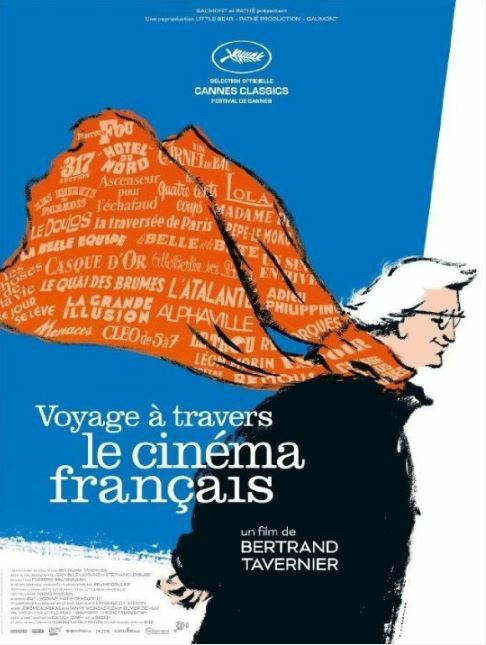 However, the audience still gets to hear a lot of interesting stuff as a result throughout Tavernier’s My Journey Through French Cinema (trailer here), which screens during the 54th New York Film Festival. Yes, this is indeed all about Tavernier discussing the films he has seen and the filmmakers he has known. Of course, he had early gigs as the publicist for Godard’s Breathless and as an assistant to Jean-Pierre Melville, so he definitely has an insider’s perspective. 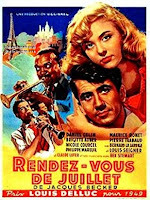 Who knew former Duke Ellington and Fletcher Henderson sideman Rex Stewart appeared in Jacques Becker’s Rendezvous in July? Tavernier, that’s who—and being a jazz fan as well, he shows a long tantalizing clip of Stewart blowing his horn in a hip French nightclub. In fact, Becker is the unlikely first-among-equals under discussion in Journey. Once Tavernier finishes with the Casque d’Or helmer, he then gives the themes and films of Melville and Claude Sautet similarly in-depth treatment. Although he mostly focuses on auteurist directors, Tavernier also champions the film scores of Maurice Jaubert and Joseph Kosma. 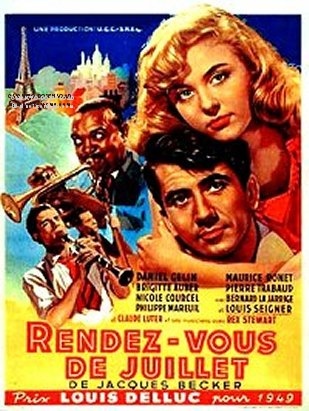 These sequences are especially valuable, since even major French film composers like Georges Delerue and Philippe Sarde are not exactly household names anymore. Those who require a rigid structure to appreciate a film are simply out of luck here. Tavernier can hardly pause in mid-air as he jumps from topic to topic, in order to give viewers time to carefully scrawl out their notes, even if he were so inclined. Essentially, this film is designed to approximate the experience of chewing the fat with Tavernier on the subject of movies. If that sounds like fun to you (and it should), the good news is there is obviously a planned second installment in the works. 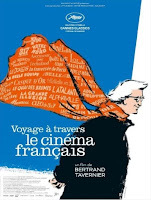 Logically recommended for Francophile patrons, My Journey Through French Cinema screens tomorrow (10/1) and Sunday (10/2) during the 2016 New York Film Festival.